Seating is one of the most important choices that a company or person must make. 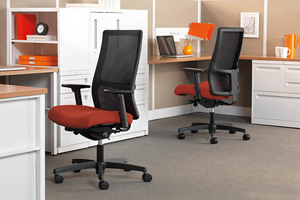 Whether it's executive chairs, chairs for employees or reception or lobby furniture used by waiting clients, the need for dependability and comfort go hand in hand. 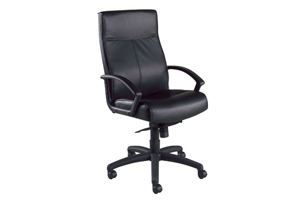 We offer chairs that combine both without sacrificing either, in a wide variety of classic and modern styles. Take-5 is a simple, light, and inviting chair that accommodates the needs of an office while offering a highly designed, residential appeal. 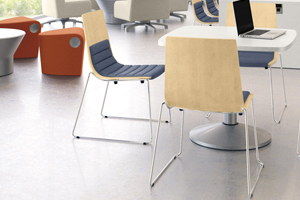 Specify Take-5 with a cushion for areas that accommodate longer meetings, or for a pop of color in your space. When the meeting is over, it stacks neatly up to six high for easy storage. The sophisticated wire frame is durable yet lightweight, so Take-5 is easy to move from space to space. 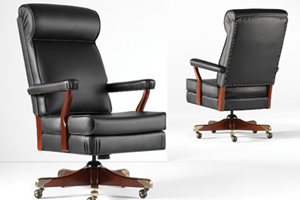 The Oval Office choice of eight US presidents, the Washington series features hardwood construction, quality upholstery and a spring seat platform that combine to prove comfort and firm, all-day support. The padded wood arms and brass-capped base are available in a variety of cherry finishes. Welting and nail trim accent this enduring symbol of power and prestige. Ignition is flexible enough to handle any day-to-day tasks, as well as accommodate any future need. A combination of human centered design and full family selection, Ignition has everything you need to outfit your entire space and give everyone the comfort and performance they need. This fully coordinated offering unifies your space with design continuity and gives everyone the functionality they require. 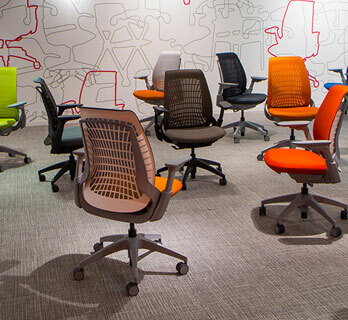 Result is an unpretentious chair that is the perfect complement for many office settings. With a T-stitch design on the chair back and seat, Result is smart enough to be used throughout the organization and priced to be easily affordable for any application. If the basics are what you want, Result lets you "Keep it simple."